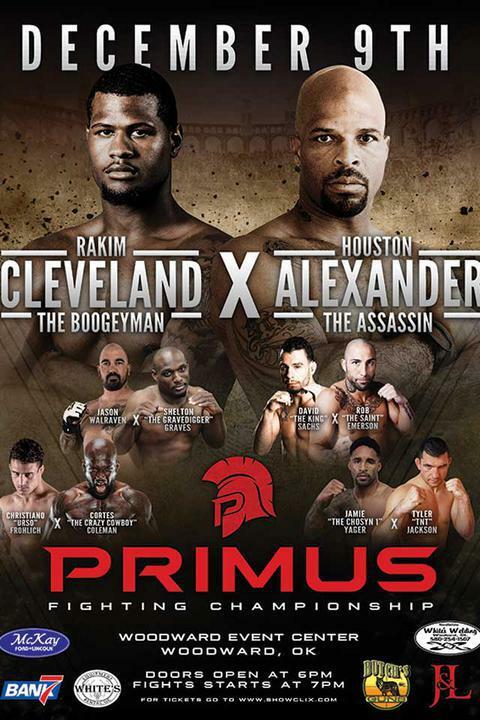 Headlining the event will be UFC veteran Houston “The Assassin” Alexander as he looks for vengeance against Rakim “The Boogeyman” Cleveland who handed Alexander a TKO loss early this year. The light heavyweight matchup is sure to produce fireworks both fighters have high TKO/KO finishing rates. Midwest fighting pride will also be on the line as both fighters hail from and have made their careers on the Midwest MMA scene. In the co-main event one of the hottest heavyweight prospects in MMA and recent winner of Dana White’s Tuesday Night Contender series, Shelton “The Gravedigger” Graves, faces off against Jason Walraven who will be hungry and looking to prove himself after a TKO loss to one of the toughest heavyweights in MMA, Tony “Kyrptonite” Lopez earlier this year. A pair of former Ultimate Fighter contestants are also featured on the card in Rob “The Saint” Emerson and Jamie Yager. Emerson, a contestant of The Ultimate Fighter season five, faces David “The King” Sachs in a battle of experienced grapplers who are no strangers to submissions. Yager, a standout in The Ultimate Fighter season 11 and Kings MMA product, brings his explosive style of striking and a two fight winning streak into the cage against the Canadian Tyler “TNT” Jackson who makes his way back to the cage after a three year break from the sport. 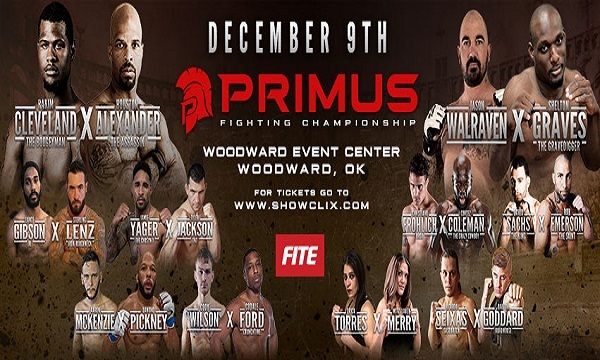 Also on the card is Oklahoma product Cortez “The Crazy Cowboy” Coleman who is now training out of Factory X under Muay Thai coah Mark Montoya in Denver Colorado and is looking to get back on track against the surging Christiano “Urso” Frohlich who rides a four fight win streak into a matchup that promises to be a standup battle. Adding to the lineup of MMA talent will be former Ultimate Fighter season 2 winner and UFC lightweight title contender Joe “Daddy” Stevenson who will be providing commentary on the night’s action. Fans will also be treated to a National Anthem performance by Miss Oklahoma Alex Smith! Catch the action live December 9th at 7PM ET/4PM PT on FITE TV PPV.